Yes, there is sufficient grace every day...even for mom's like me. I wasn't very popular with our oldest daughter today. Ever been there? She came into my classroom during 4th period because she wasn't feeling very well. or at least call someone to come and get her...but I didn't. set her goals a little higher concerning school. I feel like I must add for those of you that may be judging me, that I LOVE my children dearly. I normally am very patient and compassionate but there is a fine line between pushing your children to do more for their own benefit and babying them. Do you know what I mean? It's even harder after having your child in the hospital! Ugh! Sometimes it's hard to be a mom! So, I didn't take her home right away. She was irritated with me and went back to her classroom. Yep, Mother of the Year! I knew that Rachel was mad, but I knew in my heart that it was the right thing to do for her benefit. Still, I wanted to cry! Not only did Rachel make it through her next class, but she got to enjoy going to lunch with some of her good friends and she made it all day long! Hallelujah! Because she was in class, her science teacher was able to help her get caught up on all of her work. She is only down to Algebra II and a few history notes and then she is completely caught up. I am thrilled for her. I'm praying that next week will be better. 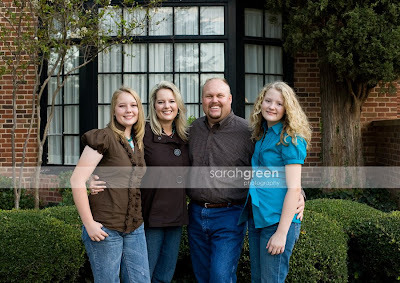 I am still asking the Lord to take away her headaches but if for some reason He allows them to remain, that Rachel will be able to continue going to school and that she will find His grace sufficient for every moment too...even moments when she is completely frustrated with her mother. I'd love to hear your "Mother-of-the-Year Moments" if you have any to share. But in the meantime, I'm hanging up my super mom cape and heading to the grocery store...for more chocolate! That was my devotion verse for today...and you know what? I needed this verse today! We have direct access to His grace and it is sufficient. His grace is enough even on days or weeks when we need more grace...His grace is sufficient. 1. 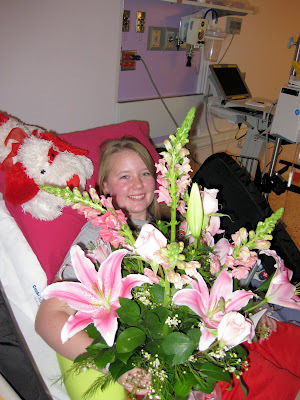 Rachel was in the hospital...His grace was sufficient! 2. When we were scared to drive her home from the hospital....His grace was sufficient! What's bad is I didn't even know what had happened until the next day! Hannah had forgotten to take her medicine while we were away so she took it in the late afternoon. When we got home from Ft. Worth, Hannah started having an allergy attack and I told her to take her medicine because I thought it had been 12 hours....wrong...only 6....oh my goodness! 4. 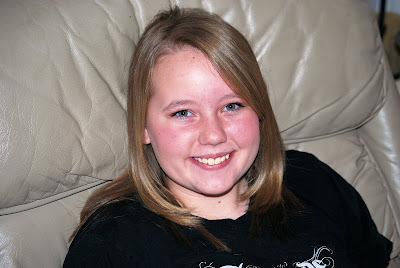 Rachel's headaches are still hanging around and she is heartbroken about it...His grace is sufficient! 5. I have 67 times 5 papers to grade before Friday...His grace is sufficient! 6. I can't sleep well at night because I am agonizing over Rachel's progress...His grace is sufficient! 7. Hannah forgot that I wasn't at school Tuesday and she caught the bus to the high school and then I couldn't find her for 30 minutes which threw me into a complete panic....like we need any more drama...His grace is sufficient! Yes, His grace is sufficient and His power is perfected in weakness. I'm so glad that I don't have to try to do it all in my own power and strength. How about you? How have you found His grace to be sufficient this week? * Update: Rachel was only able to make it to 4th period. Her headache was at a 4 when she came to my classroom. (Thank you Poppie for bringing her home.) She is back home with her feet up, in a dark room, and her headache is now at a 3. Please, continue praying for her. 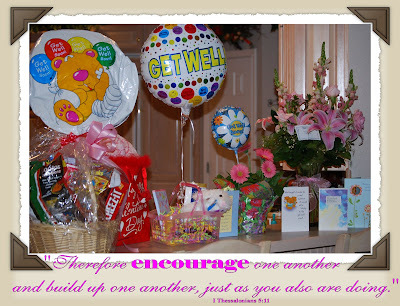 "Therefore encourage one another and build up one another, just as you also are doing." Our family has felt so loved and has been encouraged by so many of you. When we felt like we were holding on by a thread, a special card or encouraging blog comment was found. Thank you! Let me just say that a timely Word of encouragement may mean more to the recipient than you will ever know. If God has placed someone on your heart to encourage, please follow through with His leading today. I know from recent experiences just how much of an impact a few words of encouragement can bring. Be a blessing to somebody special today. For more Word Filled Wednesday, please visit my friends. P.S. Rachel and I are headed back to high school today. She is a little nervous, and to be honest, I am too. We are praying that she will be able to cope well with the makeup work that she needs to do and that God would help her to be stress-free even in the midst of trying to get caught up. I'll be teaching again but watching my precious daughter as often as I can see her in the hall. We are desperate for God to take away her headaches and for Rachel to be able to get back to as normal of a life as possible. 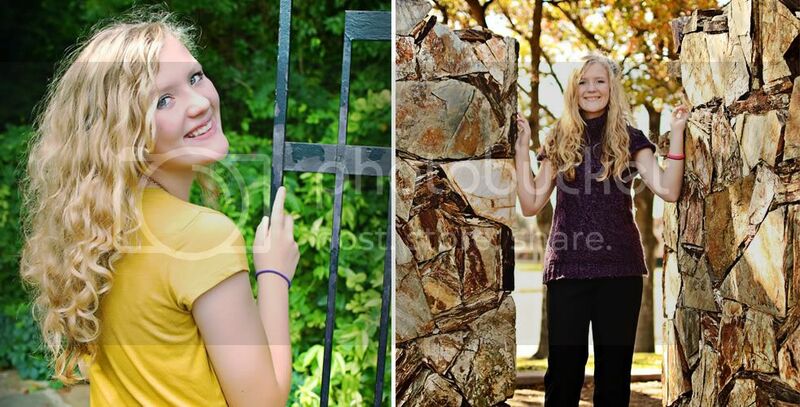 Please join us in praying that her return to school will be an easy transition and that her headaches will not return. Thanks for your continued prayer support! Yesterday was a great day! Rachel's headache only creeped up to a 3 (on a scale of 1 to 10) but before bed time was back to a 2. The new neurologist has a wonderful nurse named Carol who doesn't suffer from the same brain malformation but can sympathize with the migraine-like headaches because she has them too. One quick call to her and new pain medications were ordered so that Rachel's body will have time to adjust to the newly increased dosage of the medicine that she has been taking for the last 6 weeks. We are praying for 0 headache pain today! Yesterday, the Lord encouraged me to call the doctor's office to make sure that we still had our March 12th appointment. I was so glad that I listened because they had cancelled it and we still have so many questions. Carol put us back on the schedule and we are thankful. Rachel is looking more like herself every day. Thank you Mrs. Amanda, Nora, and Craig for the amazing dinner last night. We feasted on ribs, sausage, rolls, potato salad, cole slaw, mac and cheese (Rachel's favorite! 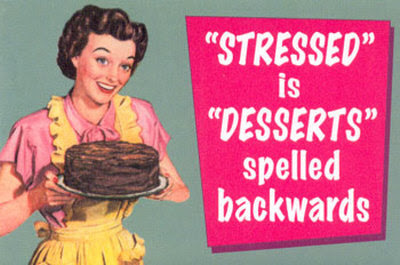 ), and frosted brownies. We are still full this morning! Ya'll are such a blessing. Thank you for your kindness and generosity. We love you! Praise the Lord, We're Home! We are home! Praise the Lord! We got in, a little later than expected, but we are home! I have to tell you that R and I felt like we were driving our infant home from the hospital all over again. We felt every bump and agonized over every mile. Those of you that have brought babies home from the hospital know what I mean. No, we weren't driving our infant home from the hospital, but we were driving our almost old-enough-to-drive-herself baby home from the hospital and to be honest...it felt a little scary. Rachel was more than ready to go home from the hospital. She told me yesterday morning, that this was the day! I had my doubts. In the last 12 hours they had doubled all of her medications and added the scary magnesium medicine. How could they send us home? But I didn't say anything, I just smiled and prayed. The doctor on call looked into Rachel's beautiful eyes as she asked him if she could go home and he didn't hesitate. "Yes, he said. "...and then we snapped him back into reality! Remember we doubled her meds, she was back to a scale of 9 for pain...etc. He quickly explained that we would take Rachel off all of her medications and instead of waiting 24 hours he shortened it to only 6 hours, it must have been her eyes, and then if she was tolerating that well then we could go home. We watched her like a hawk...and her coloring kept improving...and her headaches dropped to a 1. Praise You, Father! 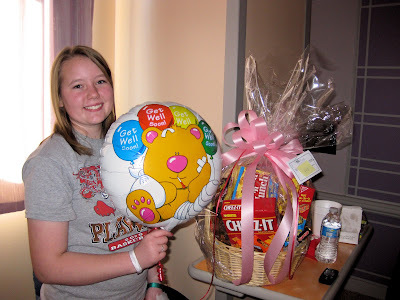 We walked all over the hospital with Rachel smiling all the way. She had asked her Savior to get her home and she silently waited for her "Deliverer to ride in and save the day and get her back home." And He did! A nurse who looked a little bit like a dreamy guy on one of Rachel's favorite TV shows offered to help us to the car. We were so stunned that we forgot to tell R that we would meet him at the suburban. He rode up one elevator while we came down another. We had to wait about 10 minutes for R to make it back down to the car, but Rachel didn't mind that one bit! On the drive home, we made it 1/2 way and decided to stop for a good meal at Cracker Barrel. It was so loud in the restaurant that her headache started to return and we had to leave. That was scary! We settled back into the car and kept driving and praying. Her headache went back down to a 2 and we were thankful. The doctors and nurses told us to take things easy and we are. We are going to have to watch noise levels for a couple of days and pray that her new dosage of medicine will continue to keep the headaches as low as possible. We are still praying that they disappear completely. 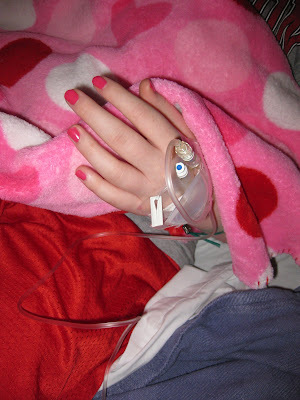 Her first IV, which was not "her friend" as she called it, but we were thankful for it and her perfectly polished nails. This one opened for Rachel yesterday morning. The amazing basket of goodies from Mrs. Amanda and fam! Thanks Scott and Brandie for lunch on Saturday and for the sweet time of fellowship. 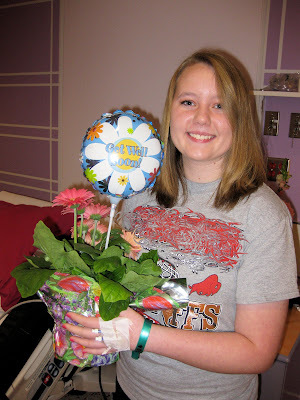 And they brought her Gerber daisies and a cute balloon. Getting ready to leave the hospital, and looking more like herself again! Thank You, Father!!! God was so good to us! A couple of nurses told us how much they enjoyed hanging out in our room. 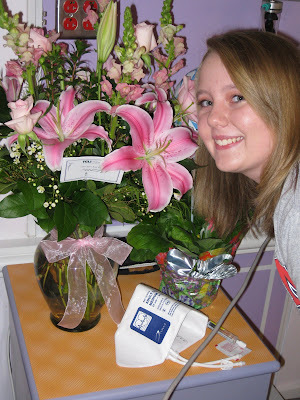 The room smelled good and in spite of her pain, Rachel was always so sweet, and they enjoyed visiting with us. I was so proud of Rachel for many reasons. It's easy to praise the Lord and try to let Him shine through you when everything is going great in your life...you feel well...you are stress free...etc. It's quite another thing to praise the Lord and allow Jesus to shine through you when you are in a tremendous amount of pain, when you are scared, and when things are stressful. I told her that I believe it is times like these when we choose to praise the Lord in spite of our circumstances, and in spite of our pain, that He receives the greater glory. The doctors and nurses saw Jesus in her...and that's what living for Him is all about! Thank you for your prayers for our family! I love ya'll so much. Please, continue to pray for Rachel's headaches to cease. We are saying in faith, "Move!" and believing that "all things are possible (Mark 9:23) because of the One in whom we believe. **** Update: We are home! I'll write more in the morning. Thank you for your prayers! Rachel had a wonderful night! We are praising the Lord for good sleep, low pain (2 to 3), and the excitement of possibly getting to go home this afternoon. We are cautiously watching her headaches. They removed all of her medications and we just have to wait and see what happens. We should know more around 2:00. I got to wash her hair and play beauty salon. She felt like putting on makeup and then we had a nice long walk around the hospital. She is now without the IV tower and that makes her feel so free! Thank you for your continued prayer support and thanks be to God for a new day filled with new mercies! It's Been a Roller Coaster Ride! After my last post, Rachel's headaches spiked and it was like starting over at square 1...and she was so upset! It was so sudden. One minute her headaches are at a level of 5 and the next she is weak, pale, shaky, and the pain level is back to 9. They have doubled all of her medications and had to give her another medication to help with the pain. I had to have this medicine 12 years ago to keep me from going into pre-term labor with Hannah and it was not fun...it was a little scary. Naturally, we were concerned when they decided to give the medication to Rachel. Thankfully, the dosage was much smaller than what I was given many years ago. Her headaches are down to a 2 or 3 and our daughter is finally resting as I type. I doubt that we will be able to go home tomorrow but that is okay. We want Rachel to be well and for there to be no more headaches. It's been a roller coaster kind of day for sure but God is over it all and we take great comfort in knowing that He is in charge and that He knows what is best for Rachel. My sweet brother and my Uncle Tony surprised us tonight. How wonderful to see both of them! Thank you Mrs. Amanda and family for the wonderful basket of goodies. We have enough snacks to last until the end of the month! Ya'll are so good to us. 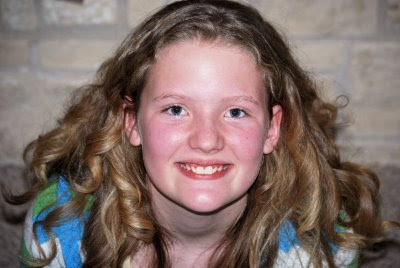 We are praying that Rachel has a great night with a lot of sleep and very little pain. Thank you for keeping us in your prayers. 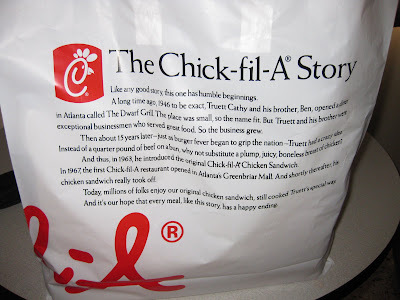 They are bringing Chick-filet which is one of Rachel's favorites. I painted her fingernails and toenails a pretty pink color and then I think we may all take a nap. I am just dropping in to let you know that the Great Physician is taking wonderful care of Rachel. The new doctor that He provided is everything we hoped for and more. He took one look at Rachel and new that she was in a tremendous amount of pain. He decided to admit her to the hospital for 2 or 3 days and we are thankful. The hospital was full to maximum capacity but they finally found a bed for us around 4:30. We are praying that the medicines will start working very quickly and that our daughter will finally have some much needed relief. The nurses and doctors are taking great care of us. We feel very comfortable here. Thank you for continuing to lift Rachel up in prayer. I'll try to post more tomorrow. I better get back to my girl. We just checked in to the hotel. Rachel made the 4 1/2 hour drive just fine and we are thankful. It was very painful at first but God somehow lessened the pressure a little bit. We listened to Travis Cottrell's cd "Found" most of the way. I loved hearing a voice singing from the back of the suburban every now and then. She was praising her Savior in the midst of her pain. Isn't that precious?! I packed my alarm clock! Hallelujah! Last time Mr. Incredible set 4 alarms on his phone and in the middle of the night the phone died. Great! The 4 of us woke up with only 30 minutes before we were suppose to be at the doctor's office. How do you calmly say to your sleeping family, "Oh my goodness! Get up we have 30 minutes to get to the doctor's office!!!!!" It wasn't calm at all. We didn't need coffee...we woke up with a major jolt...and we got lost on the way. That was a fine moment. Thank you Dad for rescuing us and giving us directions to the hospital. We have already made our trial run to the doctor's office from the hotel. We are hoping to avoid that kind of moment this time. I may stay awake all night! I'm sort of kidding. Anyway, please pray for us tomorrow morning. We will meet the new doctor who will hopefully have answers to our many questions and wisdom from Above to best know how to treat Rachel. I'll try to post when I have news. Thanks for loving us and joining us at the feet of Jesus! I am just beside myself. I didn't think my child's pain could get any worse but it has. I have never seen Rachel like this...ever! She physically cannot get up to go to the bathroom by herself. She is so weak and fears that she may pass out. Walking less than 30 steps leaves her winded and pale. to "Have mercy on me (Rachel), be my (her) helper!" (Psalm 30:10). After many, many prayers, and several phone calls our March 12th appointment has been moved to this Friday morning. We are rejoicing in God's work in this! There is another amazing doctor that we are trying to see also. Our pediatrician's office faxed copies of the brain scans (MRIs and CAT scans) to his office this morning. The doctor will look over the slides and decide if he will take Rachel as a new patient. We are praying that he decides to say yes. We are also believing that nothing is too difficult for God and that if He chooses, Dr. W will have an opening in Dallas this weekend too. It would be such a blessing to travel to the metroplex and be able to see both doctors this weekend. 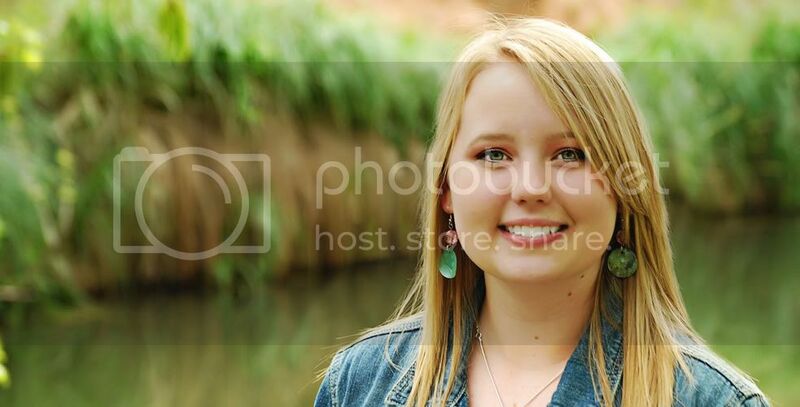 We are still asking God to heal Rachel and we believe that He will. There is nothing too difficult for Him! We continue to place our trust, hope, and faith in Him. He is over it all. We take great comfort in knowing that our Redeemer is Faithful and True and that He has shown Himself faithful to us time and time again. Even in the midst of Rachel's pain and the helplessness that we feel, we will trust in the Lord, our Strong Tower, the Healer, the Provider, the Lover of our Souls, the Great I Am, our Shield and Defender, Immanuel, the Rock, Sustainer, Life Giver, Great Physician, and so much more! 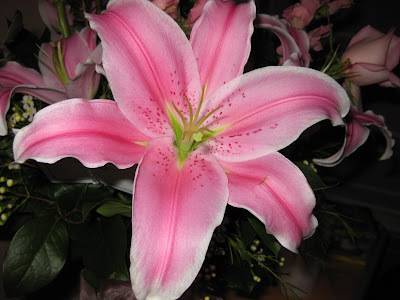 I learned a new name for God this week: He is Jehovah Shammah which means "The Lord is there." Even in His silence He is there...in the middle of her pain...He is there....in the middle of the night when my heart is so burdened and broken for my daughter...He is there. No matter what...He is there! Thank you for your encouraging words yesterday and for all of your prayers. We feel very covered in prayer and that means more to our family than you will ever know. My verse for today is, "The name of the Lord is a strong tower; the righteous run to it and are safe." Proverbs 18:10. We are running to our Strong Tower today! Yesterday, Rachel was only able to stay in her daddy's recliner...all day. She would only get up to go the bathroom. We were praying that today would be different...but she is the same. The extra dosage of medicine doesn't seem to be working at all. She is so shaky today and weak. We will put a call into the Pediatric Neurosurgeon at Cook's Children's Hospital again today. The next medication that he may choose to prescribe comes with awful side effects like seizures. 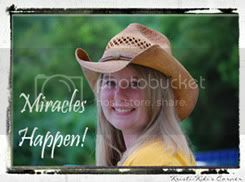 Please, pray with us that they will find another medication that will cause her headaches to cease and that she will have no...not one...ill side effect! I love this family photo. 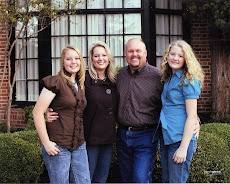 I love my family! I've been wrestling with my flesh and my mother's heart who hates to see her child in so much pain. I know without a shadow of doubt that God is sovereign and He has a great purpose for all of this...I just don't like it very much. How's that for honesty? I commented to my mom that I am not feeling "fine in '09." A lot has happened in this new year...things I never imagined that we would be dealing with. Please, don't misunderstand me, I know that things could be so much worse and I am thankful that they are not. I have watched my oldest daughter suffer with an awful headache that has been around constantly since Christmas day. Some days are better than others, but she still has headaches. I started wondering if our family was going through some kind of punishment. Have you ever wondered about that too? It was a weak moment. I expressed that thought to my mom who has battled a toilet tank that had a hairline leak in it that flooded 2 1/2 bedrooms and one bathroom this week. She calmly replied that all of this is just "Character Building," and you know what? I think that she is right. It's my heart's desire to be more like Jesus every day. But some days, it's just tough! Growing pains are hard aren't they? Rachel and I have only had few days where we were feeling down and weepy at the same time. I try to be the strong, encourager every day. But, unfortunately, I have my moments too. Last week, I struggled with the silence of God. Have you been there? A Christian dreamed that she saw three others at prayer. As they knelt the Master drew near to them.As He approached the first of the three, He bent over her in tenderness and grace, with smiles full of radiant love and spoke to her in accents of purest, sweetest music.Leaving her, He came to the next, but only placed His hand upon her bowed bead, and gave her one look of loving approval.The third woman He passed almost abruptly without stopping for a word or glance. 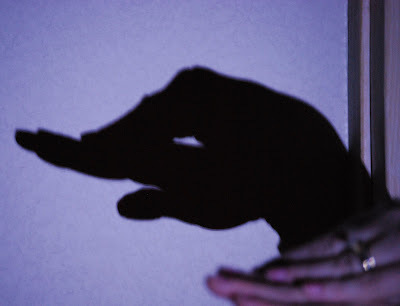 The woman in her dream said to herself, "How greatly He must love the first one, to the second He gave His approval, but none of the special demonstrations of love He gave the first; and the third must have grieved Him deeply, for He gave her no word at all and not even a passing look. "I wonder what she has done, and why He made so much difference between them?" As she tried to account for the action of her Lord, He Himself stood by her and said: "O woman! how wrongly hast thou interpreted Me. The first kneeling woman needs all the weight of My tenderness and care to keep her feet in My narrow way. She needs My love, thought and help every moment of the day. Without it she would fail and fall. "The second has stronger faith and deeper love, and I can trust her to trust Me however things may go and whatever people do. "The third, whom I seemed not to notice, and even to neglect, has faith and love of the finest quality, and her I am training by quick and drastic processes for the highest and holiest service. "She knows Me so intimately, and trusts Me so utterly, that she is independent of words or looks or any outward intimation of My approval. She is not dismayed nor discouraged by any circumstances through which I arrange that she shall pass; she trusts Me when sense and reason and every finer instinct of the natural heart would rebel;--because she knows that I am working in her for eternity, and that what I do, though she knows not the explanation now, she will understand hereafter. "I am silent in My love because I love beyond the power of words to express, or of human hearts to understand, and also for your sakes that you may learn to love and trust Me in Spirit-taught, spontaneous response to My love, without the spur of anything outward to call it forth. I found great comfort in that story. A few days later Rachel was having a weak kind of day and struggling with the silence. I shared this story with her and we both cried. Last night was an awful night for Rachel. 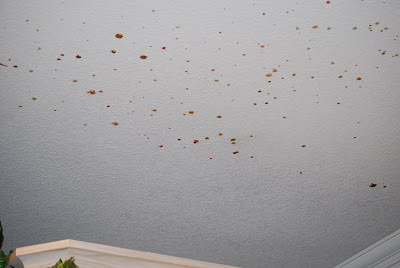 She tossed and turned all night and said that she thought the blood was constantly rushing to her head which always intensifies her headache pain. We talked about all of the changes that have happened since Christmas day and then she said something that still echoes in my heart this morning. She said, "I kind of feel honored that God chose us to go through this. I feel like God chose us because He knew that we would still believe and have faith in Him. He chose us for a reason and for His glory." And this Momma's heart rejoiced once again. She is wise beyond her years. I admire her strength and her courage. 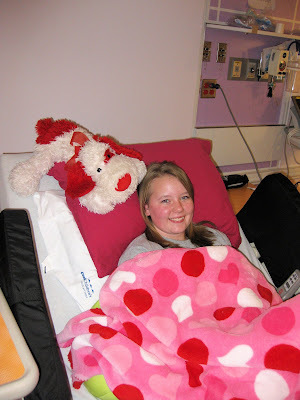 She created a scrapbook picture of herself that says, "I may have (the diagnosis) but (the diagnosis) doesn't have me!" She is so right. She is trying not to let her diagnosis define who she is. She made it to school every day this week! She hasn't been able to do that since before Christmas break! Several people at school and even some family members have just assumed that her headaches are gone. They are not. Rachel is just trying to live by faith and trusting in her Savior that despite circumstances, she "Can do all things through Christ who gives her strength" because "Greater is He that is in her than he that is in the world." 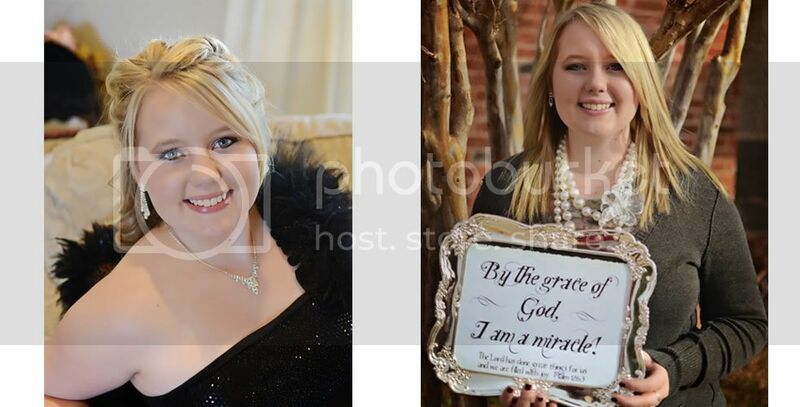 I may not blog about every incident and struggle with "the diagnosis" and the seemingly long wait for our neurologist visit on March 12th, because I want to honor my daughter's request that this diagnosis will not be what defines her but I do ask that you please continue to pray for her. These are character building times around our household. If somehow we look a little bit more like Jesus than it will all be worth it! I'd love to know if God is growing character in your life too. Would you please share it with us? 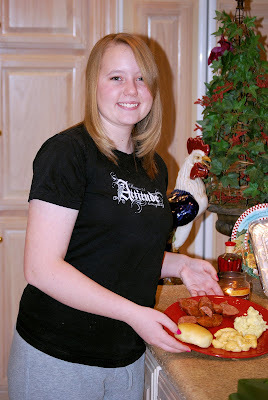 PS If you are new to myblog and want to know more about Rachel's story, you can click on my sidebar Index. The postings are listed from most current to the oldest. This new journey of faith began on January 2nd. Information is listed under "Rachel's Story." The name of the diagnosis is not listed as she would like for that to remain private right now. remember that you are dearly loved by your Heavenly Father. Valentine's Day would be a wonderful day to give your heart to Him. He loves you so much! Oh, this has been a full week. How about yours? sharing the most Delicious valentine cupcakes ever. It's a girl party for sure. now we are chillin' out in our PJ's. Mr. Incredible and his father are on their way to Houston to visit a dear friend at MD Anderson. So, the girls and I are taking every advantage of our mother-daughter time together. Just me and my little valentines~delight! I couldn't wait to share this story from the classroom today. Since tomorrow is Valentine's day, I bought blow pops to give to my students. Who doesn't like blow pops?! Well, one of the advanced students just cracked me up! He had trouble unwrapping the blow pop (those wrappers can be tough)but finally got to enjoy it. A few minutes later he stood up, turned to look at me and said (I kid you not! 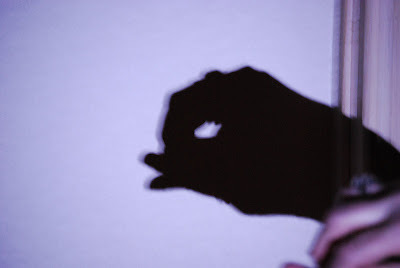 ), "Mrs.____ , this isn't a tootsie roll in the middle is it? I've been chewing on it and trying to swallow it for the last 5 minutes." I wanted to roll on the floor with laughter. Poor guy! Nope, it's gum in the middle, hence the name "Blow pop!" On another note, Hannah tried out for junior high cheerleader today. She did a WONDERFUL job. I thought she looked like the real deal. Apparently some stinkin' judges don't agree! But that's okay. I am sure proud of her for trying out. On my way to her tryout, I spilled my coffee on my crisp, white t-shirt. It was a lovely sight. On my way back to the high school, I stopped by the grocery store and picked up a tide to go stick. I've always wanted to try these little wonders; today was the perfect day. Well, what the commercials don't tell you is that tide 2 go leaves wet stains. Sure, it takes the stains out but I went from looking like I had coffee on my shirt to a wet t-shirt contest contestant. Great! That's just what my high school students need to see. Thankfully, I was wearing a jacket. Fun times in the classroom! You need a disclaimer that states, "Please use sparingly! Otherwise you need to change your name to Tide to Go to the wet t-shirt contest! OIY! I better get back to the movie with my girls! We get to watch Hannah tear it up on the basketball court in the morning. I can hardly wait. Have a wonderful weekend! 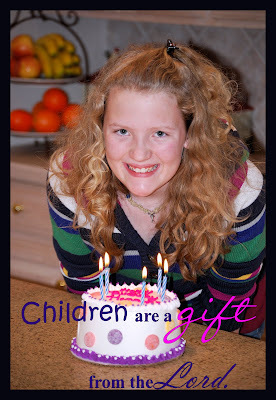 Psalm 127:3 "Children are a gift from the Lord..."
(Please, visit Word Filled Wednesday for more Word filled inspiration). My baby turns 12 today. My baby! Oh, how I delight in being your momma. It seems like yesterday that I held you in my arms for the first time and heard your first cry. True to your wonderful self, you came in only 3 1/2 hours. I'll never forget the moment that the doctor placed you in my arms. You were crying until I said, "Hi sweet Hannah. I'm your momma and I have been waiting for you my whole life." Instantly you stopped crying and just gazed into my eyes. I have tears in my eyes now at the memory of that moment. There are so many more moments that I treasure in my heart. You are a blessing for sure from God above. I could write a novel about the things that I love about you. But, on this your twelfth birthday, I thought I would try, it's not easy, to narrow my list down to 12 things that I love about you. Please, know there are millions more reasons why I love you. 1. You have a smile that lights up every room. 2. Your laughter is absolutely, positively contagious. 3. You have a generous heart for everyone and every animal on the planet. 4. You love the Lord with all of your heart. 5. You are a mighty prayer warrior...beyond your years. 6. You are fiercely protective of your big sister. I just love your relationship. 8. You are sooooooo creative. I love to see your wonderful creations. 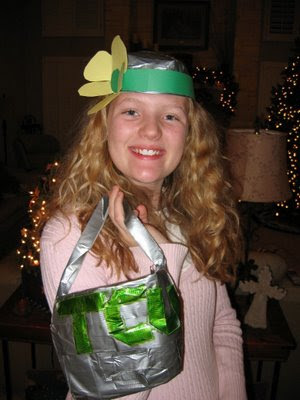 Remember the duct tape purse and hat? 9. You are a wonderful student (straight A's). You have taken on the responsibility of making sure your homework is finished even when I am at my night classes. 10. You are never boring. Even waiting in the doctor's office can be fun with you! 11. You have a beautiful voice. I love to hear your singing in the shower, at church, and even in the midst of all of the noise coming from your Ipod in your room. 12. Your hugs are the best. You don't care if it's cool or not...you still give us hugs even in front of your friends. So, on this special day, I hope that you know how dearly loved you are by your Heavenly Father and by your family. I'm so thankful that God chose me to be your mother. I wouldn't have missed this for the world. You are a true gift from the Lord. Your name means "God's Grace" and that is just what you are to us. 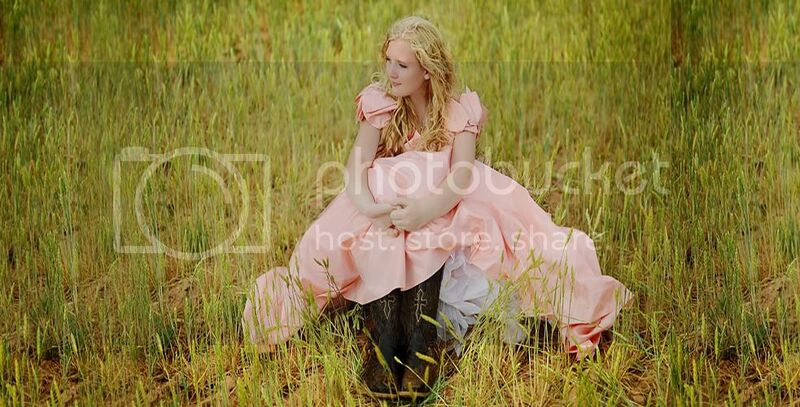 Happy Birthday precious Hannah! May God bless you with many, many more! Praise the Lord it's raining! 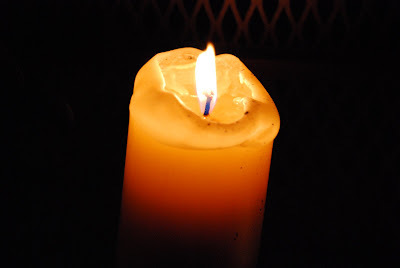 We had a delightful evening without electricity because of the huge storms passing through. They arrived just in time; I had just pulled the Taquitos out of the oven and walla~no electricity. 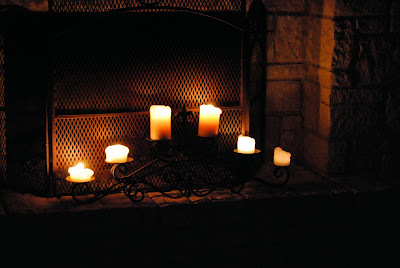 We ate Taquitos by candlelight and relished the sounds of the flickering candles and the rain. We liked it for about 20 minutes and then we were bored. Oh, electricity how you do spoil. 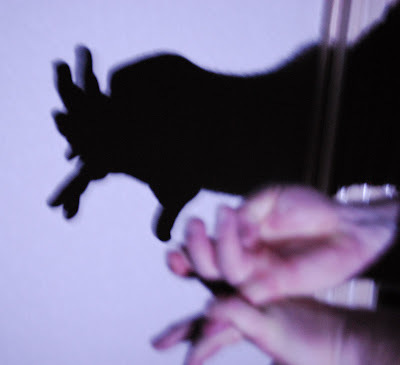 So, we got creative with the candlelight and made shadow puppets. And my....who knows what these are...creatures. We laughed for awhile, sang Kum Ba Ya, and then we all broke out the battery charged laptops. The electricity came back on in an hour and then we all went to bed. 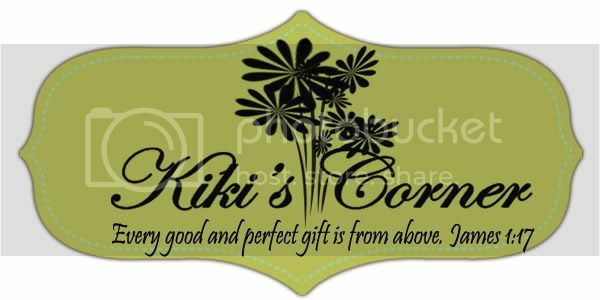 I know...exciting times at Kiki's Corner. We are thankful for the much needed rain and for the blessing of having electricity. My family is well and everyone is where they are suppose to be...Hannah and Rachel are at school...Mr. Incredible is at work....and I'm in my 4th period classroom. Most of my students are caught up on their assignments and I've already posted the 3 week grades and finished my lesson plans for next week...praise the Lord! all of my students are passing and seem to be adjusting to the transition of having a new teacher in the classroom. I am just beside myself with the joy and privilege of getting to be in the classroom again. I had a memorable teacher moment yesterday that I just had to share with all of you. He finished all of his assignments for the week, we reviewed for a test Wednesday, and then the class took the test yesterday. I could see in his eyes that he was a little worried about the test (even though he would never in a million years admit it). After he turned in the test and I had graded it, I called him over to my desk. I saw a look of sheer panic in his eyes. He told me that he didn't want to see his grade, but I showed it to him anyway. He made a 93!!!! I saw him smile for the first time ever. He was so pleased, and so was I. He hung around after class to tell me that this was the best grade he has ever made on a test (he is a senior). Wow! I tried my best to encourage him that he can do anything that he sets his mind to do. This morning he came into the classroom to let me know that he told his mom about the test and she was proud of him too...and my heart rejoiced! I hope you understand that I am certainly not patting myself on the back. I'm praising the Lord for the work that He has done! I'm trying not to let my tears roll down my face...'cause I don't want to freak out my students...but it's moments like these that make working so hard to finish school so worth it. Being a part of what God is doing is amazing. I'm so honored and thankful for this opportunity. My life is not perfect, it's been pretty chaotic lately, and yet He still has things for us to do. He is amazing! There is great joy in being called His child. So, has the BUG...you know the one...visited your home? around our home this week...and I would like for it to go far, far away! Mr. Incredible and Hannah came down with it yesterday. Rachel was home from school too for the second day in a row this week due to her tremendous headaches and me? I was busy teaching classes, running back and forth to check on my family, and attending my night classes at the university. And Calgon?...well it lies! It doesn't take you away! When Mr. Incredible is sick...well...he likes company. Can anyone relate??? Bless his heart. I finally had to sweetly explain to him that Rachel really didn't need this bug on top of everything else that she is dealing with and to PLEASE go to the master bedroom and stay there! I sent Hannah to her side of the house too. I know...I'm sure they felt like they were in isolation but they both had tv's and laptops and all the ginger ale and crackers anyone could want...oh yeah...and my TLC... between classes. At the bright and early time of 4 AM Hannah came into our bedroom this morning to let me know that she couldn't go back to sleep. Apparently she likes company when she is sick too! 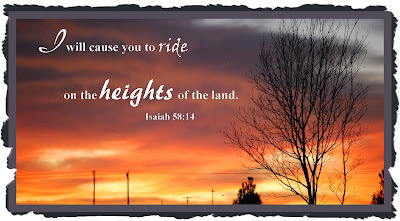 "I will cause you to ride on the heights of the land." Isaiah 58:14. This was the verse for today's devotion in Streams in the Desert. It speaks to my heart in this time where life is like a roller coaster. One day Rachel is doing well, and they are so few and far between lately, and the next day we are back down. The devotion continues, "The sufferings of life are God's winds. Sometimes they blow against us and are very strong. They are His hurricanes, taking our lives to higher levels, toward His heavens...When the storms of life appear, the atmosphere is changed, purified, filled with new life, and part of heaven is brought down to earth." I like this. We live in the windy part of Texas. It can be so dry here. This new season of having to watch my precious daughter suffer feels like being dried and whipped by the wind. I've had to fight hard against it. Today's devotion makes me rethink the wind. I'm going to choose instead to ride the wind to new heights with the Father knowing that He is right here in the midst of the storm with us...knowing that brings much comfort! Please visit my friends for more Word Filled Wednesday inspiration. 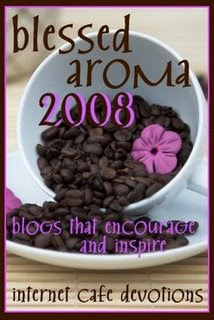 one of the Top 100 Christian Women's Blogs of 2008! I think they may have made a mistake! My blog??? This is a high energy blog! Perhaps she is a mom to a dozen or a woman who is wearing many hats. 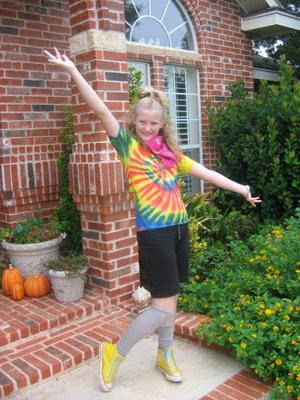 Her energy and enthusiasm shine through on her blog. Wow! Thank you to my sweet friends for nominating me. I am friends with the best bloggers in the world and ya'll bless my life sooooooo much! I just love being honored with so many of my favorite bloggers! My man LOVES this stuff! Since Hannah was little she has referred to A1 Sauce as Al. We always keep a big, Sams Club super sized, bottle in our refrigerator...until tonight that is! As of right now, Al sauce is dead to me! This afternoon I had a Youth Search Committee meeting and then evening worship. Well...since my family was at a Super Bowl party, I went to my meeting and like the good preacher's kid that I am...I, I really hate to admit this to the world, I...skipped church in order to go to HEB for groceries for the week. I know, I'm sorry! Anyway, on my way back into town I stopped and picked up my girls from the party and we headed home to put the groceries away. Mr. Incredible was watching the game with friends and we were headed home to enjoy girlie things like watching a chick flick or something fun like that. Well...that didn't happen. Hannah was helping me put things in the refrigerator when IT happened. Super-sized Al Sauce over. In slow motion...it seemed...I screamed....'"NO!" The next thing I hear is my youngest child saying, "It's in my eye! It's in my eye!" We were covered from the top of our head to our feet in Al sauce! I thought that was the worst part...oh no!... that would be too easy! I hear Rachel start laughing ...more like rolling on the floor in complete hysterical laughter....saying, "You should see yourselves!" Then she said, "Look at the ceiling!" 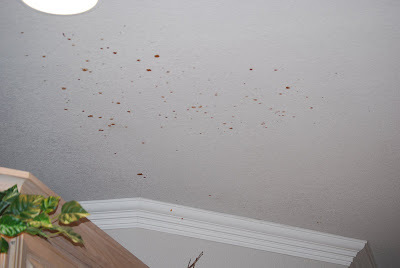 Not only were Hannah and I covered in sauce, my kitchen island, my refrigerator (inside and out...'cause...hello the door was open), the cabinets, pantry door, and the ceiling were nicely coated too. How can one bottle hold so much stuff? We cleaned everything up as much as possible and then I had to call Mr. 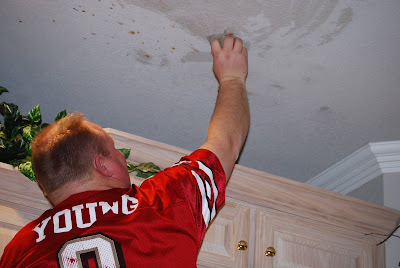 Incredible to come home to help with the ceiling. That was a fun phone call to make. All I heard on the other end of the phone was hysterical laughter...and then he sweetly asked if his precious...bottle of A1 sauce was okay? Excuse me???? No, it is not okay, but I quickly explained, "I feel confident that you can ring out my hair and refill half the bottle. Come home...please!" Good news! The kitchen and the ceiling are fine and I have never been more attractive to my husband ever! Oiy...just call me "Al!"